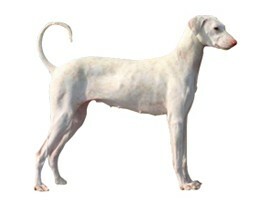 The Rajapalayam, also known as a Poligar hound, is an Indian Sighthound. It was the companion of the royalty and aristocracy in Southern India, particularly in its namesake town of Rajapalayam in the Virudhunagar district of Tamil Nadu. While they are known to be extremely loyal to their owner, the Rajapalayam is usually wary of strangers. This breed is a good guard dog. It is very important to socialize them as a puppy. Since they have strong hunting instincts, they should not be trusted with small pets such as cats or small rodents. A Rajapalayam is essentially a hunter and still retains that trait to an extent. It was bred to hunt for wild boars and smaller preys. They are not hesitant to pounce on intruders, which makes this breed one of the best guard dogs around. Rajapalyam throughout history has also been known as a breed that is extremely attached to the owner and will not think twice before removing obstacles from his or her course. 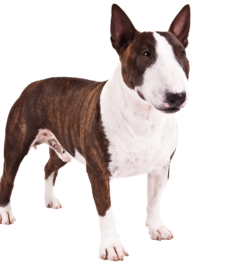 They have loose skin under their short, smooth coats but no wrinkles or dewlap. Soft ears hang on the sides of their head and their eyes are dark brown. The Rajapalayam need little grooming and are average shedders. Deafness is common in this breed. Because of their long legs, they may be prone to joint problems or hip dysplasia. Prone to skin problems. Rajapalayam will not be a difficult dog to train. These are intelligent breeds but the most important thing to be kept in mind is that it has to be only one person who trains this breed i.e. the training program has to be started and ended by the same person. The dog does not react well if the original trainer is changed. It’s very important to start training your Rajapalayam as soon as you get him or her home as it is never too early to train them. The Rajapalayam needs a daily walk or jog. While out on the walk the dog must be made to heel beside or behind the person holding the lead, as instinct tells a dog the leader leads the way, and that leader needs to be the human. 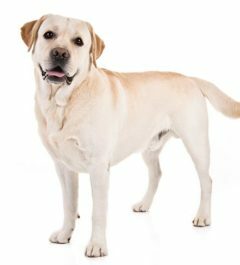 These dogs are energetic and lively and are in their glory when allowed to romp and play, especially if their owner or a companion dog joins in the fun. 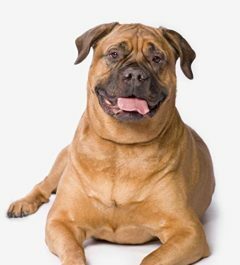 Top-quality dry dog food ensures a well-balanced diet for full-grown rajapalayams and can mix with broth, water, or canned food. Your rajapalayam may also be fond of fruits and vegetables, cooked eggs, and cottage cheese, but these dishes should not total more than ten pct of his or her daily nutrition. Rajapalayam puppies should probably be given high-quality, brand-name puppy food. You should cut down on “table food”, however, because it can cause vitamin and mineral deficiencies, tooth and bone concerns, and might lead to extremely picky food choices and obesity. 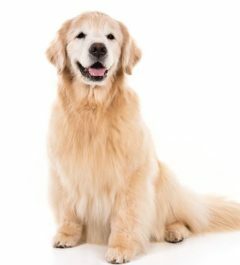 Give fresh, potable water only, and make certain to clean water and food bowls very frequently.